Neither the sinner no just one with fathom them. Most Merciful Jesus, from whom comes all that is good, increase Your grace in us, that we may perform worthy works of mercy, and that all who see them may glorify the Father of Mercy who is in heaven. Eternal Father, turn Your merciful gaze upon the company [of chosen ones] in your vineyard - upon the souls of priests and religious; and endow them with the strength of your blessing. For the love of the Heart of Your Son in which they are enfolded, impart to them Your power and light, that they may be able to guide others in the way of salvation, and with one voice sing praise to Your boundless mercy for ages without end. Amen. For such was the Holy Trinity's counsel. "This is My Blood, this is My Body." The He passes the Cup among His disciples. And said, "One of you will betray his Master." One issue she raises that I find is definitely true is the ability to get more sleep. Because I am a foster-mom, I have had two children in traditional school this year (one in high school, one in pre-school - foster children have to go to school). One thing I certainly have not missed the past five years was the morning need to get up exceedingly early to get everyone up, fed, dressed, and out of the house for the morning commute. Fortunately, given the age of the two I have in school, lack of sleep hasn't been a real issue for anyone but me (and, well, I have a toddler getting me up exceedingly early anyway, but still, on the rare days she graces us with sleep, it would be so nice to be able to stay in bed). The high schooler makes her own hours (although she is not a morning person and makes up her sleep debt on the weekends) and the preschooler goes to bed early enough to be able to wake up early. But, I know that this is a HUGE issue in the elementary years. There just isn't enough hours in the day for after-school activities, dinner, and homework. Children get to bed too late to be able to get up as early as they need to in order to go to school. That low-grade constant sleep-deprivation adds up and negatively impact attitude and cognitive ability. Just one more reason why I am glad that I homeschool. The Seventh Torture is: Horrible despair, hatred of God, vile words, curses and blasphemies. There are special Tortures destined for particular souls. These are the torments of the senses. Each soul undergoes terrible and indescribable sufferings related to the manner in which it has sinned. There are caverns and pits of torture where one form of agony differs from another. I would have died at the very sight of these tortures if the omnipotence of God had not supported me. Gohn writes in a very conversational style, sharing stories from her own life in order to illustrate how God works in a person’s world. She tells of her romance with her husband, the challenges of parenting, the importance of friends, and her experience with cancer while still in her thirties. 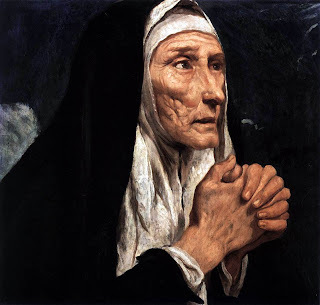 She shares her fears and joys and how she developed a relationship with Mary, whom she holds up as a model of all that a Christian woman should be. In 1999, Tracy Sands was inspired while listening to Christian music at a church event. With only a pen and the program she received at the door to work with, she began sketching quickly. The urge to create was so strong she “felt as though she would pop if she didn’t get the ideas out of her brain immediately.” Over the next nine months, she would revise those initial sketches and ultimately create The Christian Alphabet, a series of drawings of the letters of the alphabet filled with Christian symbolism designed to help teach children about the faith. The Christian Alphabet Book is a new book to help share this alphabet with the world. Each letter of the alphabet is featured on a two-page spread. The right-hand page showcases a large image of the letter design along with a relevant scripture passage and an activity to find the symbols hidden in the letter. The left-hand page includes a lesson related to the letter and a prayer. The tradition of illustrating letters is an ancient one. One need only think of the beautiful medieval illuminated manuscripts. Sands, who has a Master’s Degree in Art Education and is the mother of three young children, has put a modern take on this idea. Her art is simple and appealing and it is evident that a great deal of thought and imagination went into this project. In the back of the book, Sands has included a detailed listing explaining the symbols in each of the letters. While this is a Christian alphabet and is intended for a wide audience, there is nothing in this book that is contrary to the Catholic faith and a Catholic priest helped advise Sands while creating the book. The Christian Alphabet Book would be ideal for children ages four through eight, although other ages can certainly appreciate and learn from it as well. 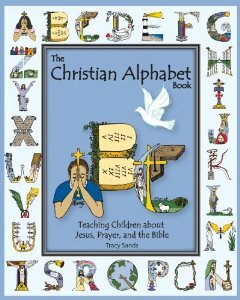 The associated website, www.ChristianAlphabet.com also features a Christian version of the alphabet song to help children learn the concepts included in this book. This was part of the message that Pope Francis gave to the Cardinals today. I’ve been a fan of Jennifer Chiaverini’s Elm Creek Quilts series for years. 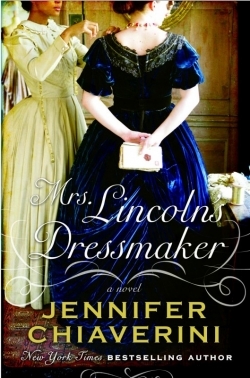 Her latest novel, Mrs. Lincoln’s Dressmaker, is her first stand-alone historical novel and is an incredible achievement. Chiaverini tells the story of Elizabeth Hobbs Keckley, a woman who was born a slave but who ultimately bought her freedom and moved to Washington D.C., where she established herself as a dressmaker in the years immediately prior to the Civil War. She counted among her clients such notables as the wives of Robert E. Lee and Jefferson Davis. It was Mary Todd Lincoln, however, who would become her most famous customer and a dear friend. As modiste to the First Lady, Keckley was invited into the inner circle of White House life during the Lincoln years and this novel tells of her perspective of President and Mrs. Lincoln, their children, and the Civil War. While this takes up the largest part of the novel, the story continues to share what happened after President Lincoln’s assassination and the difficult years that Mrs. Lincoln faced. Mrs. Lincoln’s Dressmaker is a history buff’s delight. While it is a novel, it was very well researched and is largely based on historical events. It is a wonderful read for anyone interested in women’s history, African-American history, or the Civil War era. It would also make a great educational experience for high school or college students studying this time period. 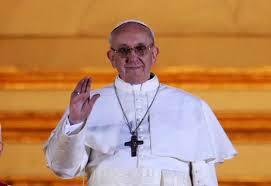 Welcome to Pope Francis! I was so excited to see the throngs in St. Peter's Square, and the whole world gathered in prayer and celebration. What a historic day for the Church! 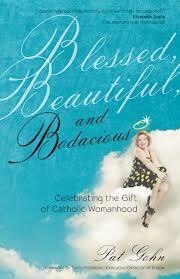 Win a Bible Prize Package from CatholicLane! An inspiring devotional titled, A Story of God And All Of Us, Reflections The devotional will enable the reader to experience the main themes of the Bible from Genesis to Revelation. It features a daily devotional reading to inspire readers. Does the Holy Spirit Choose the Pope? This is a wonderful answer by Fr. James Martin on a question weighing on a lot of minds as the conclave starts tomorrow: Does the Holy Spirit Choose the Pope? It also has some great tidbits on discernment and free will in our own lives.